Several celebrities tweeted their condolences to movie mogul Daggubati Ramanaidu, who passed away on Wednesday. Raveena Tandon: Just heard about the passing away of Dr D Ramanaidu Garu. What a wonderful person, producer to work with, wanted to sign me for Prem Qaidi in 91. I couldn't do it, he said we will definitely work together. Soon I did Taqdeerwala with venkatesh his son, learnt South Indian professionalism. Ramanaidu Garu worshipped his work, he worked with reverence and respect to his profession, one of the pillars of the telegu film industry. Sridevi: Deeply saddened by the sudden demise of D Rama Naidu Garu. His legacy will live on for generations to come. Anil Kapoor: Rama Naidu ji will always be my most favourite and beloved producer ever..will miss him dearly. Anupam Kher: Rama Naidu ji will always remain one of my favourite producers & person. Warm, compassionate, helpful & always smiling. Will miss you Sir. Genelia Deshmukh: RIP Ramanaidugaru ... You will always be remembered. Great loss to the industry.. Strength to the entire family. Yami Gautam: Shocking to hear about D.Ramanaidu Sir' demise.A legendary name in the history of cinema. May his soul rest in peace. Strength to the family. Taapsee Pannu: A legend left us today. Privileged to have met him in person a few times. RIP Ramanaidu garu. Madhur Bhandarkar: Sad to know Dadasaheb Phalke awardee, veteran producer of South & Hindi films, D Rama Naidu is no more. Heart goes out to d family. RIP, Sir. Riteish Deshmukh: Legendary filmmaker Daggubati Ramanaidu passes away-his contribution in building Indian Cinema is immense. thank you sir. RIP. Music composer Mohammed Zahur Khayyam celebrated his 88th birthday on February 18. Khayyam composed music for classics like Noorie, Kabhi Kabhie, Umrao Jaan, Razia Sultan, Thodisi Bewafai and Bazaar, among many others. 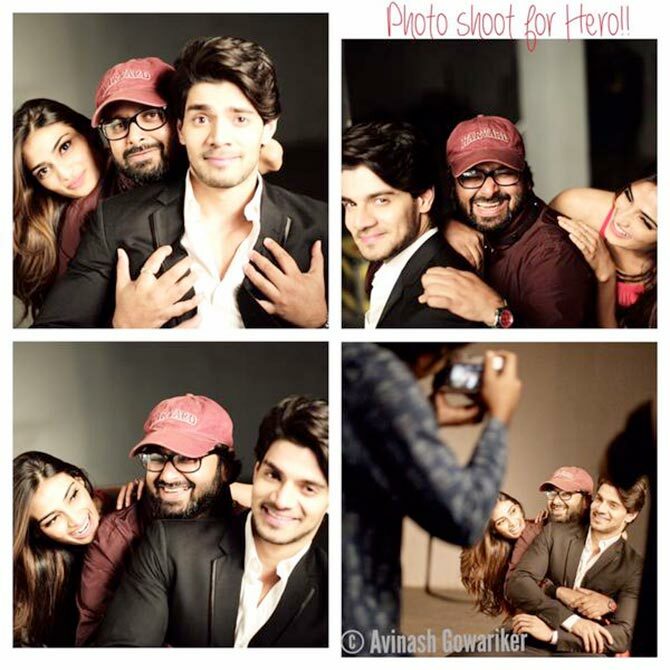 It's a wrap for Hero! The shooting for the remake of Subhash Ghai's 1983 film Hero is over. Produced by Salman Khan, the film also features Govinda, Anita Hassanandani, and Vinod Khanna. It is expected to release on July 3. Shah Rukh Khan, who is currently working on Maneesh Sharma's Fan, is also shooting for his television show India Poochega – Sabse Shaana Kaun. 'Hectic day on Fan & I hav to get back to Sabse Shaana Kaun 2. Eventful & packed days & nite but no pain no gain....so i go on relentlessly,' he posted. The game show will start airing from March 2 on upcoming entertainment channel &TV. 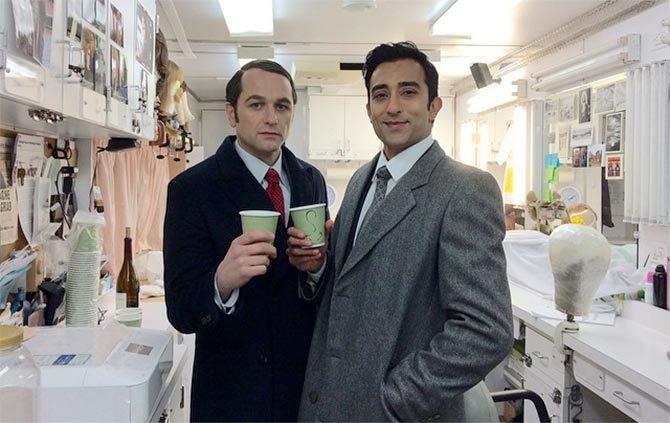 Rahul Khanna, who is currently in New York, is busy shooting for the season three of period drama series The Americans. Singer Tulsi Kumar is all set to marry beau Hitesh Ralhan in Delhi on February 22. World Cup Quiz: How many teams have participated in World Cups?